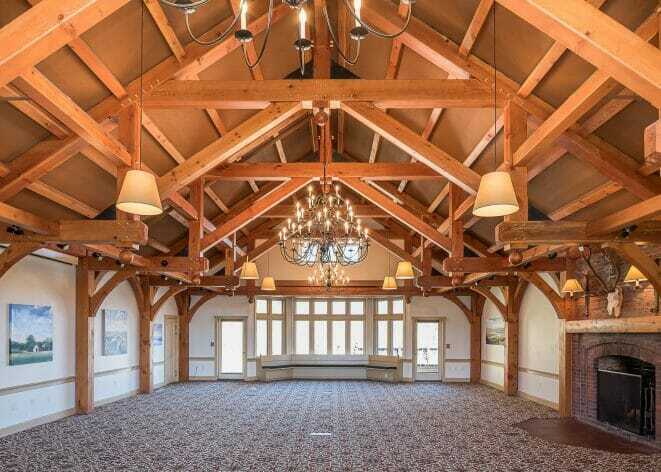 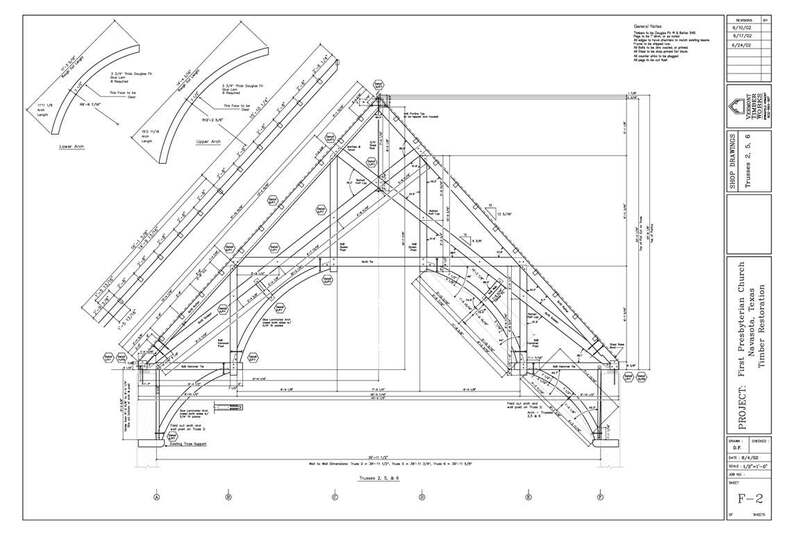 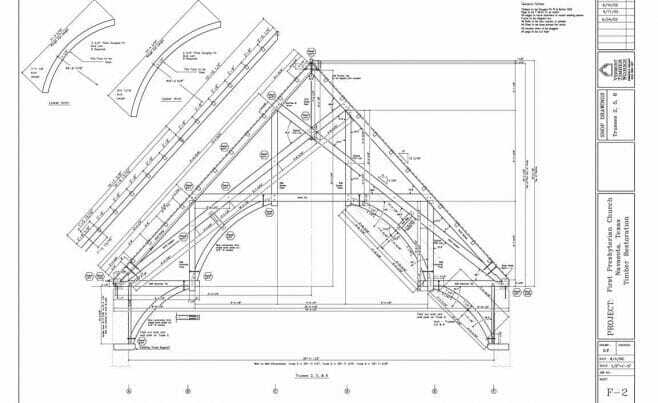 Modified Hammer Beam Trusses have a great look with their open design and arched webs and braces. 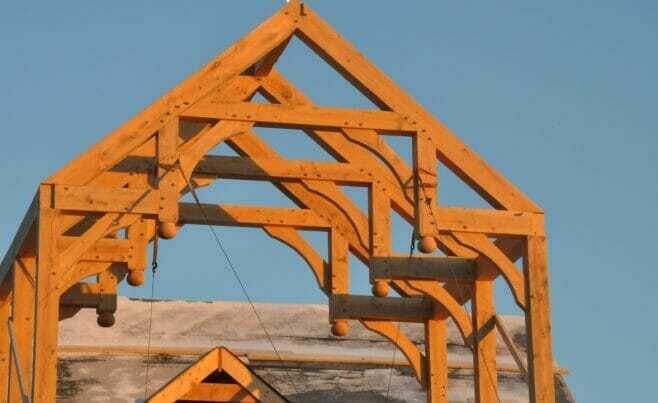 No buttressing is required. 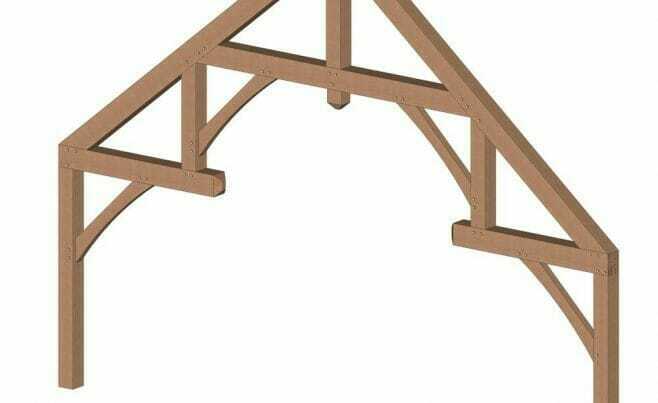 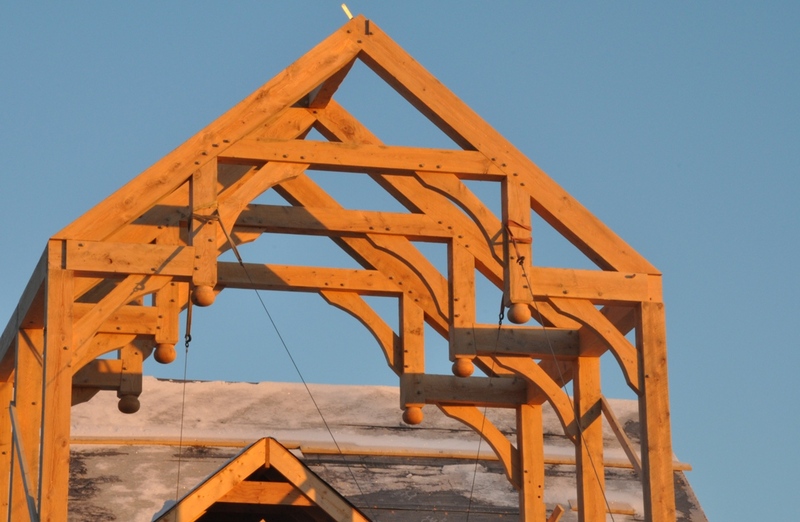 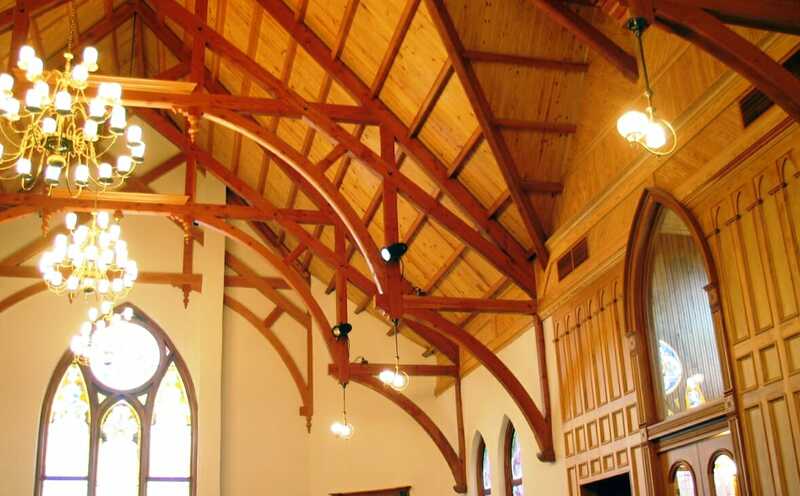 A center king post is used in the truss’s interior and a collar tie is placed about half way down the truss giving a great open cathedral look. 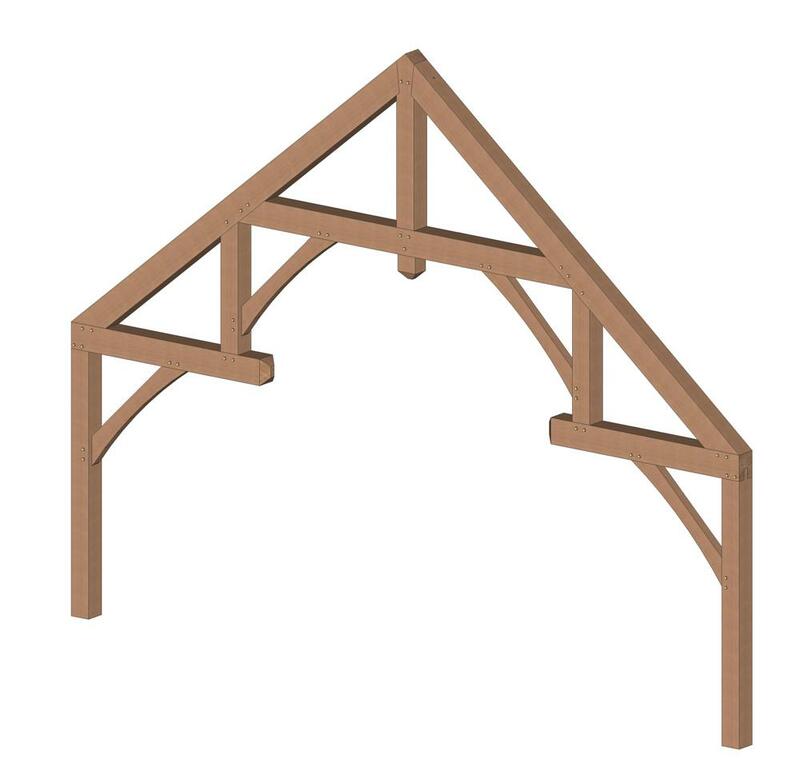 Graceful arched braces run from the collar tie down to hammer posts, and lower braces run from the hammer tie down to an outside post . 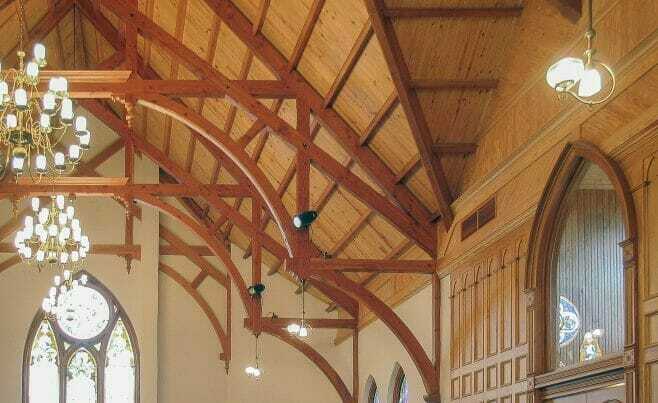 Modified Hammer Beam Trusses for a Cathedral Church Ceiling in the First Presbyterian Church.